We have the bright white traffic cones in 28 inch with or without the reflective 3M collars from JBC Safety. Make your private parking lot, parking garage or valet area stand out from the rest with bright ceiling white traffic cones. 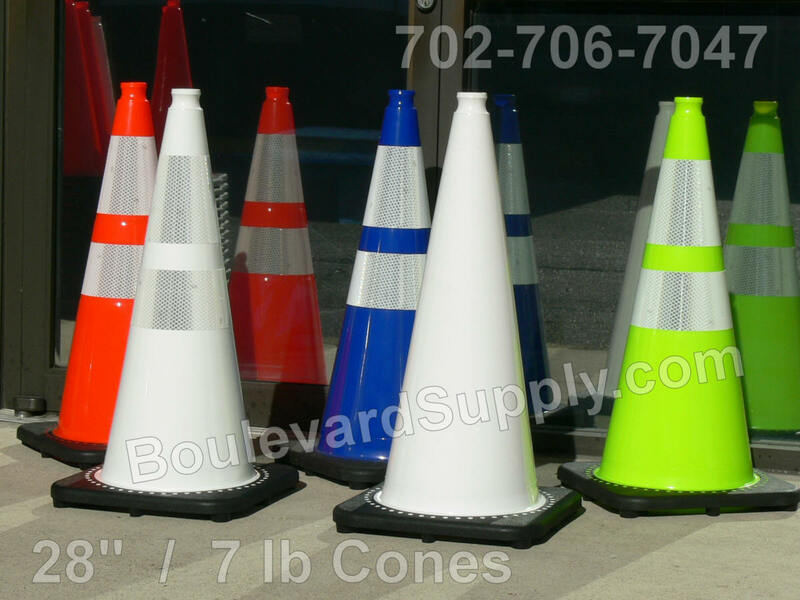 These white cones are 28″ high and available with or without reflective tape bands. If you plan on using them at night, order the reflective cone. White cones are an ideal for valet areas and private events.